Skilled and Acute nursing care is provided by a team led by Registered Nurses who have experience and education in the specialty of Skilled and Acute Nursing Care. 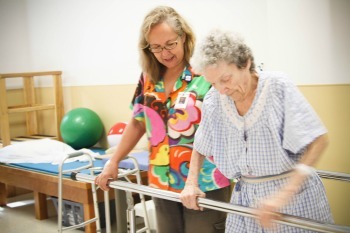 Services provided include physical therapy, occupational therapy, speech therapy, wound care, intravenous medication management, diabetes management, medication adjustment, pain management, palliative care, chronic disease management, restorative care, and assistance with activities of daily living. Activities are provided that are individualized for preference. The activity room has a large screen television, with Nintendo Wii games available for entertainment. Internet access is also available for use. A holistic approach to treatment is emphasized with attention to an individualized plan of care. Cultural considerations and preferences are honored. Families and loved ones are encouraged to participate in developing the best interventions to promote wellness and the highest level of independence. Our warm and caring staff ensures safety while providing a homelike environment.